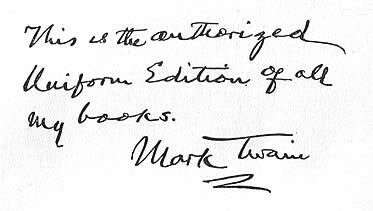 The Hillcrest Edition was the second uniform edition of Mark Twain's works named after one of his homes. In April 1902, while the Clemens family was living in Riverdale-on-the-Hudson in New York in a rented home, Olivia Clemens signed a contract to purchase a house in Tarrytown, New York known as Hillcrest. In 1903 when Frank Bliss decided to issue a new and lower priced uniform edition of Mark Twain's works, the set was named Hillcrest Edition. The Hillcrest Edition was unique in several respects. The dimensions were slightly smaller than previous editions, possibly an attempt to reduce production costs. It was the first uniform edition offered by American Publishing Company to contain 23 volumes. It would also become a unique transitional edition with approximately 2500 sets being offered by American Publishing Company and a subsequent number of sets being offered by Harper and Brothers under the same Hillcrest label after Harper acquired rights to the edition in late 1903. A letter from Mark Twain to Henry Rogers dated 25 June 1903 indicates the original production numbers by American Publishing Company were 2500 sets although the edition would contain no limitation statement in the volumes. By October 1903, American Publishing Company had sold about 700 sets and still had 1800 sets on hand. A September 1903 notice in Literary News reported the Hillcrest subscription edition offered at $36.50. 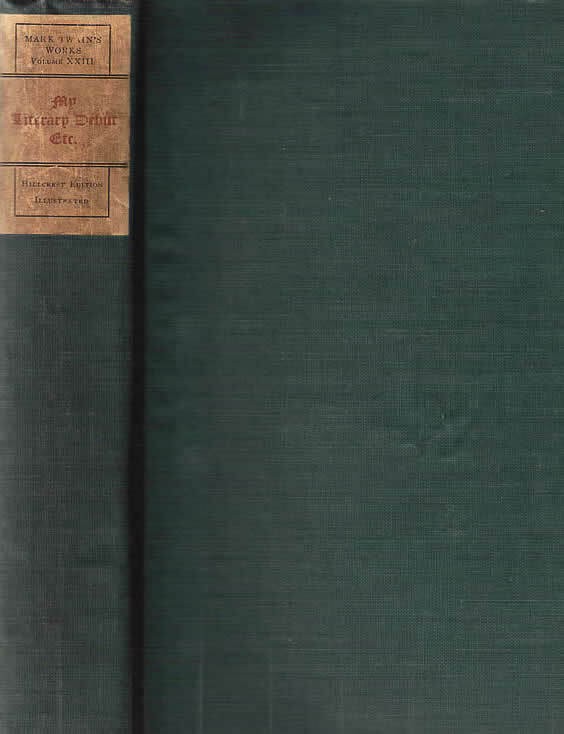 American Publishing Company's 1903 Hillcrest Edition featured dark blue-green cloth binding and paper labels designating titles and volume numbers. There were two kinds of paper labels -- one with black print combined with red title lettering as above. Another variation in the title label was red print with black title lettering. The cloth was similar to the binding used in the Japan Editions. Measuring 7 7/8" high by 5 1/4" wide, the volumes were slightly smaller in dimensions than previous uniform edition volumes . The title page designed by Tiffany and Company and engraved by W. H. W. Bicknell appears in Volume 1 only of the Underwood, Riverdale and Hillcrest Editions. 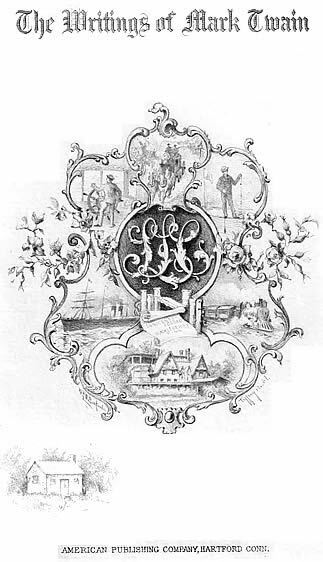 It features an SLC monogram surrounded by scenes from Mark Twain's life including a boat, stagecoach, train, and his home in Hartford, Connecticut. The lower left corner features a cabin depicting his humble birthplace at Florida, Missouri. 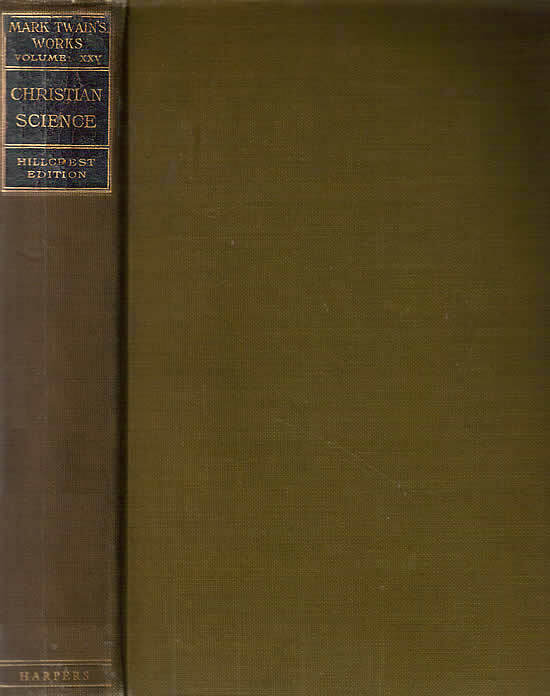 The name of the edition is not specified on the Tiffany title page. In October 1903 Harper and Brothers acquired the rights to all of Mark Twain's works and purchased from American Publishing Company their remaining stock of 1800 sets of the Hillcrest Edition. Over a year later on December 10, 1904 The New York Times reported that Harper and Brothers would be releasing a new Hillcrest Edition from new printing plates. A more expensive 1904 Hillcrest Edition issued by Harper and Brothers featured red leather and marbled boards binding. 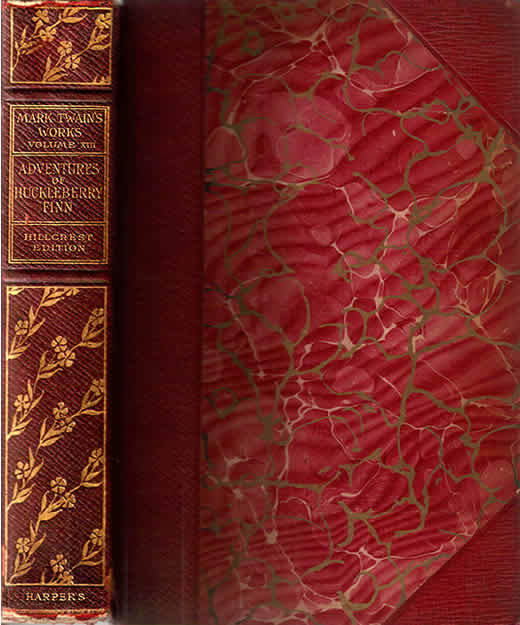 1904 Hillcrest Edition binding featuring red leather spines and corners and red marbled boards. Photos taken in 1905 by Jean Clemens in the family's Fifth Avenue apartment in New York show the 23-volume Harper's Hillcrest Edition on the bookshelves in their home. 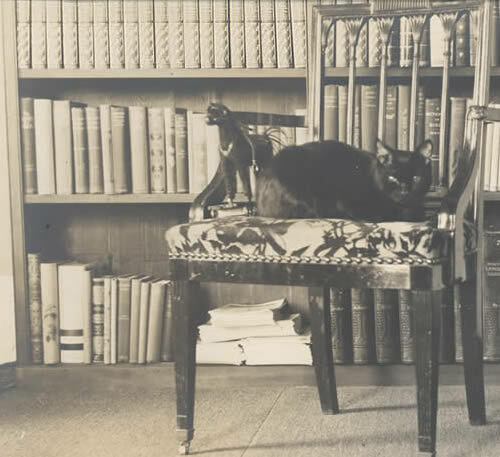 In addition to Bambino, the family cat, Katy Leary, Reverend Joseph Twichell and Clemens himself were all photographed in this room with the Hillcrest Edition in the background. By 1907 Harper had added two additional volumes to the Hillcrest Edition bringing the total to 25 volumes. 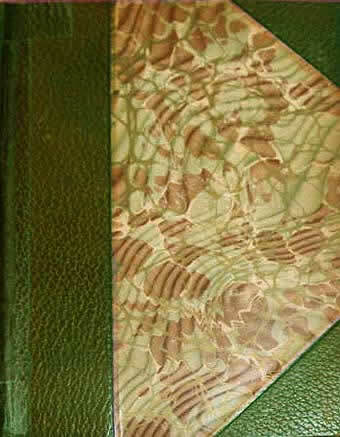 A 1907 Volume 25 from the Harper Hillcrest Edition featuring green cloth binding and leather labels. According to ads, this green cloth set retailed for $50. A June 1908 ad in American Review of Reviews advertised a 25-volume set with cloth binding at $50 available on the installment plan of purchase. The set bound in half morocco leather was priced at $75. A December 1908 ad in Scribner's Magazine listed prices for Harper's Hillcrest Edition in three different bindings ranging from $50 to $100. According to the business ledgers in the Harper archives, the sale of the green cloth 25-volume edition which sold for $50 per set extended through at least 1911. Clemens received a royalty of $9.60 per set. The red leather 25-volume edition sold for $75 and sales extended at least through 1912. Clemens received $14.40 per red leather set sold. A more expensive green half morocco set sold for $100 and the sale extended through at least 1910 and Clemens received $19.20 per green leather set. Harper Hillcrest sets in green half morocco leather have not endured the test of time. Most of the green leather sets that survive today have faded to brown and can be identified by the five vertical rules topped with floral design on the spines. "A New Mark Twain," The New York Times, 10 December 1904, p. BR867. Mac Donnell, Kevin. Personal correspondence, 5 May 2010.